The AAFS Account portal received an update which helps to better organize and display your information more efficiently and effectively. The new layout, seen below, clusters the menu that was on the side and the old “Action Center” into categories. We have also elevated your profile information (Addresses, CV, Disciplines, Go Green Options, Languages, and Certifications) to be displayed on the dashboard. We hope these changes are more efficient and easier for you to use. 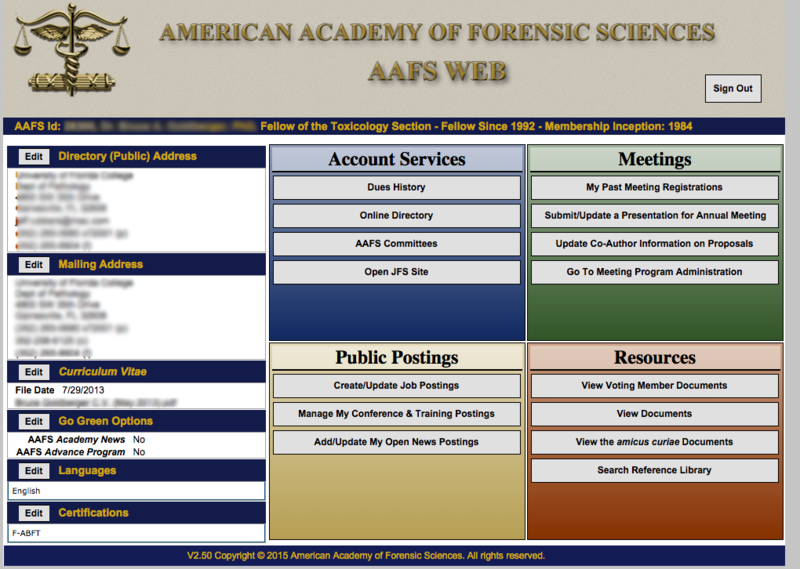 If you have feedback about the new design, please direct your comments to jlubbers@aafs.org.